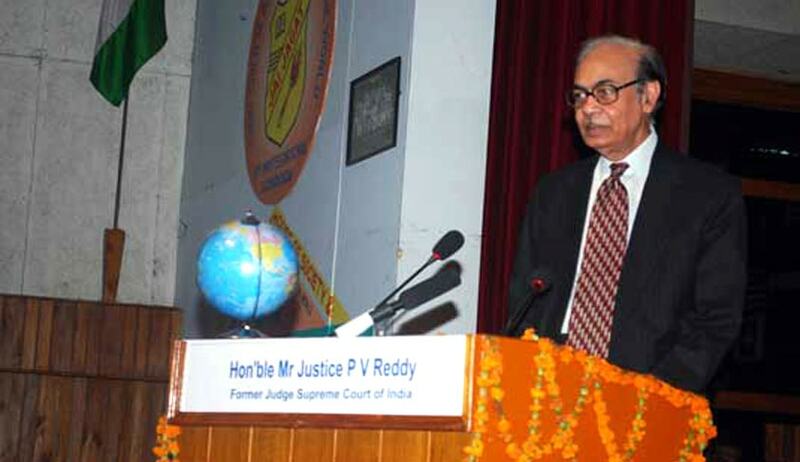 The Supreme Court today appointed former Supreme Court judge Justice P V Reddy to revalue 659 answer sheets of Delhi Judicial Services (Mains) exam 2014 following allegations of several irregularities and discrepancies. A bench headed by Justice Dipak Misra said Justice Reddy would be requested to begin evaluation from January 10 and complete the task within six weeks and submit a report to the apex court. On November 6 the case took a new twist with the court making it clear that it would like to hear 15 successful candidates before appointing a retired judge of the apex court to revalue papers. “Principle of natural justice demands that the successful students be heard as we have decided to revalue all papers including theirs”, the bench said. The court brought on board these candidates before appointing the one man commission. The court went ahead after lawyers appearing for the HC, ASG Maninder Singh and advocate A D N Rao agreed to the proposal. The court had decided on November 2 decided to appoint a retired sc judge to revalue the papers. “Yes. How can there be a so much of a difference between marking of two evluators. There is a concept of rationalization of marks. We don’t know if that system was followed. Anyways we are appointing a retired judge of this court who is very strict to re-evaluate the answer sheets. We want to ensure fairness now that complaints have cropped up”, the bench said. On August 4, finding prima facie irregularities in the results, the Supreme Court had restrained the Delhi High Court from declaring final results of the exam till its further orders. But the court had allowed interviews and the other processes to go on. The court’s order came on a petition filed by the NGO Centre for Public Interest Litigation, and the case was argued by noted lawyer Prashant Bhushan. It is to be noted that in a letter dated June 18, 2015 to Delhi High Court Chief Justice G Rohini, Union Law Minister DV Sadananda Gowda had written that his ministry had received complaints about children of sitting Delhi High Court judges being declared successful when judges of the same court were involved in the examination process. Senior Advocate Sanjay Hegde was the counsel for the an aggrieved candidate. The petition was outcome of several Delhi Judicial Service candidates – all of them sitting judges of lower courts – approaching Bhushan and alleging foul play in the conduct of the exams, in which 64 district judges from outside Delhi failed despite quite a few having topped their respective state judicial service exam, while candidates who were allegedly the relatives of sitting Delhi High Court judges cleared the exam. Only 15 candidates cleared the DJS 2014 Mains exam despite there being more than 570 vacancies in the Delhi lower judicial service. Advocate ADN Rao, the standing counsel for Delhi High Court, told the apex court that there was “nothing unusual in selecting few candidates and it has happened earlier also”. Bhushan had knocked the doors of the apex court due to “lack of response” from Delhi High Court Chief Justice G Rohini to whom he had written. “The topper and another successful candidate are daughters of sitting judges of Delhi High Court, which conducted the exam. Records further showed that at least 65 sitting judicial officers from 11 states failed the exam, raising more questions about the evaluation process,” Bhushan told the apex court. “Such results show that there is a serious problem with the evaluation method… this kind of selection process will demotivate several other meritorious students… students with good academic records would never appear in the exams having such an unreasonable selection method,” he said. Read more news about Delhi Judicial Services Examination here.